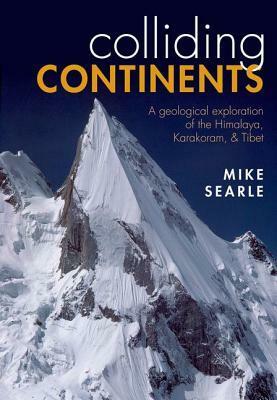 'Colliding Continents' showcases Mike Searle as the ideal exponent of field geology. A majority of even the most field-hardened geologists will readily admit that they’re unlikely to face situations like this. Yet Mike Searle, a geologist at the University of Oxford, has time and again put himself in punishing situations to pry out that precious rock sample for an analysis. In his book Colliding Continents, published in 2013, he talks about his 30-year geological odyssey across the Karakoram, Himalaya and Tibet. The result is a deftly written personal account that’s accessible to most readers curious about the dynamic processes that shape Earth’s surface. About 50 million years ago, the Indian continent, which had been drifting northwards for about 70 million years, collided with Asia. The northern margin of the Indian continent was deformed and uplifted to form the Himalaya. To understand this event, Searle focused his research on the highest of the Himalayan ranges. His investigation proceeds along four narratives, each guided by the answer to a single question. The terrains that hold the answers to these questions are best exposed roughly west to east along the length of the India-Asia collision zone. 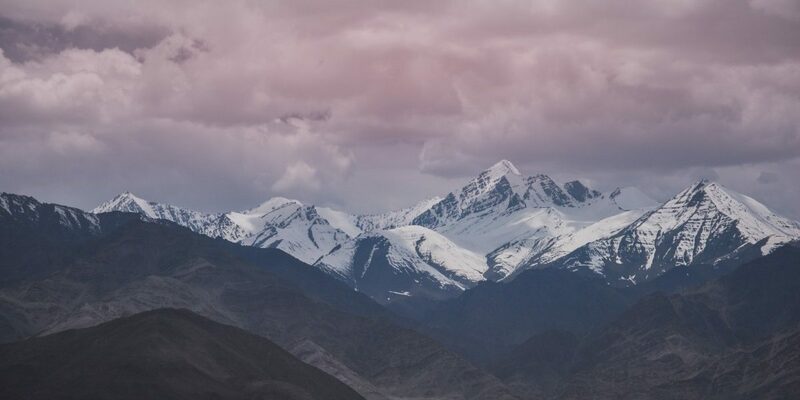 First, extreme differences between the highest and lowest points in the Karakoram ranges exposes the lower levels of the Asian continental crust. What does this terrain reveal about geological processes taking place deep within the Asian plate? In Searle’s description, the answer is writ on the many high granite peaks, which have to be scaled to access the lower crust. Second, the highest ranges of the Himalaya are made up of blocks of Indian crust that were buried the deepest (20-25 km down), then metamorphosed and partially melted. When did these events occur, and how and when was this crustal layer moved back to the surface? The many approaches to answering this have occupied a significant portion of Searle’s career. Third, why is the Tibetan plateau so high? To find out, we analyse volcanic rocks together with deep seismic surveys. And fourth, as India presses further into Asia, the Tibetan crust is squeezed. Is it responding by becoming thicker or are large slabs of the Tibetan crust being shunted sideways, especially east? In answer, Searle traces lateral motion faults as they wrap around the eastern bend of the Himalaya and continue into southeast Asia. A section on the Oman mountains at the beginning and a chapter on the Andaman Islands at the end provide satisfying bookends to these themes because these regions are key to understanding what could’ve been happening between India and Asia before the Himalaya rose. But going on these adventures isn’t enough. Teasing Earth’s secrets out is as much an exercise in intrepid journeys over different terrains as it is to dig into a variety of analytical techniques. For example, most readers will be familiar with rock-dating methods that use the decay of uranium isotopes. But not many know of other methods, like zirconium silicate fission track dating, which measures radiation damage in zircon crystals to estimate when a rock could’ve cooled below a certain temperature. Geologists combine geochronology with specific geochemical analysis to ascertain pressure and temperature conditions, and so track the burial and exhumation history of rocks. And these methods have proved crucial to understanding the evolution of mountains. Apart from discussing these, Searle has also invested his book with some tools and guidelines for the rookie to get a feel for the geologist’s field operating procedure. They’re not perfect or complete but they’re a good way to start. For example, the book begins with a geological time-scale to help understand the periods into which Earth’s past is divided. There are clearly illustrated geological maps of important regions. Cross-sectional visuals show how a collision zone is divided and arranged, providing a glimpse into the internal architecture of a mountain belt. A detailed glossary covers technical terms and an appendix explains rock structures and lab methods. Perhaps the only thing missing is an image of Searle’s own field notes. But for all this scaffolding, there are some passages in the book that non-geologists are going to find tough to follow. So as if in compensation, Searle offers plenty of beautifully narrated digressions as well, each a story in its own right. He describes the terrain along many of his trekking routes, recounts harrowing tales of expedition mishaps and remembers his warm friendships with the Sherpa of Nepal. He writes evocatively about the climbing craze that has besieged Mount Everest of late and how political unrest in Nepal affected his fieldwork in the country. Then there are the breathtaking photographs, particularly of the Karakoram peaks and the Nepal Himalaya. It’s likely satellite images overlaid with geological structures will inspire readers to launch Google Earth and start exploring on their own. In all, Colliding Continents showcases Searle as the ideal exponent of field geology. Horace Benedict de Saussure (1740-1799), the Swiss mountaineer and pioneering geologist, once said, “It is above all the study of mountains which will accelerate progress in the theory of the earth.” And Searle has certainly contributed much to our understanding of how the world works. After three decades of work, he remains in contagious awe of the most majestic of mountain chains. Apart from an intellectual curiosity to understand mountains, he also warns us that the Himalaya poses a clear and present danger. As the Indian plate slips underneath Asia, it periodically locks and jerks free, releasing vast amounts of energy as earthquakes. We urgently need to study the many fault systems that underlie this region for more effective seismic risk assessment. 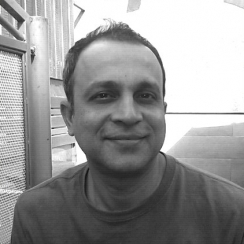 Suvrat Kher is a sedimentary geologist and tweets at @rapiduplift.